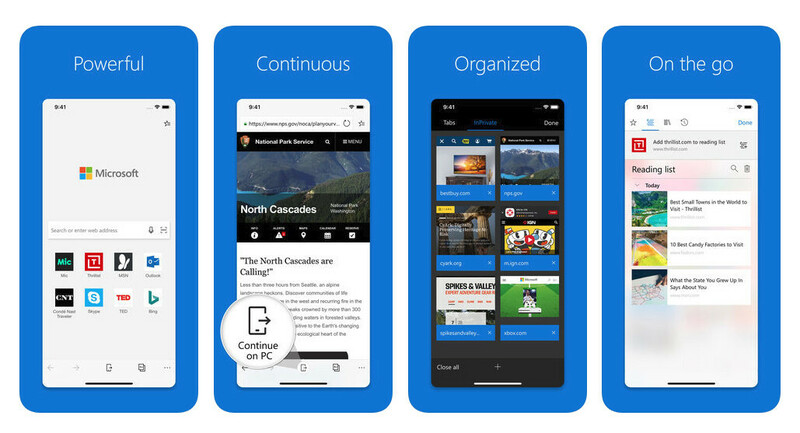 Microsoft brought its Edge browser to iOS back in November of 2017, but the app's UI featured no optimisations for iPads. In February, Microsoft announced that it would soon begin testing a retailored interface for Edge on iOS, that would take advantage of the larger screen area of iPads. Well, the time has come, folks. Testers of the Edge preview app for iOS can now install and check out the iPad-optimised version on their slates. So, what's changed? Well, not that much, to be honest. As expected, UI elements have been enlarged to facilitate ease of use on a bigger screen, but apart from this, it's pretty much what the same ol' Edge on iOS. Furthermore, key features—such as native split-screen support on iOS 11 and tab syncing—are nowhere to be found in the updated app, which we find disappointing. Split-screen is especially something that would work quite well on an iPad. Still, Microsoft says it's working on both these features, so users of the Edge preview app will likely get their hands on them in upcoming updates. Why does Edge exist? I keep wanting to like it, but it always finds a way to let me down. My main gripe is that sometimes it struggles just to open a page. With so many functional alternatives out there, I don't get the point of Edge in the market. Considering 90% of the population uses a PC, it would be nice to sync all your browser information between all your devices. Microsoft's hand-off feature works really well with iOS and Android. No ad blockers, no deal!